As a yoga teacher and kinesiologist, Eithne believes passionately in the importance of yoga in our everyday lives and in its role in the maintenance of our health and wellbeing; she considers it a privilege to share the benefits of yoga with other people. The approach that she takes when teaching is that yoga is available to everyone; practicing yoga should be an enjoyable and uplifting experience that empowers the individual and offers a tool for life. 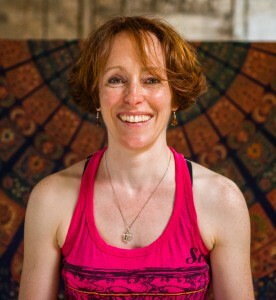 Eithne has practiced many styles of yoga including Hatha, Anusara, Shadow, Vinyasa Flow and brings aspects of these together to create dynamic energising classes in addition to gentle yin style classes which allow us to stop and listen. 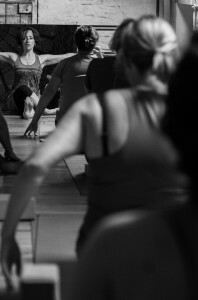 Eithne’s teaching style emphasises the importance of alignment and the breath while building strength and flexibility. She encourages you to find a balance between effort and ease, allowing you to find the space in your body that can take your practice a little deeper. Eithne weaves the philosophical teachings of yoga into her classes, the importance of honouring the self which in turn ripples outwards and honours all living things, acknowledging that we are all one. Eithne has been practicing yoga for over ten years and recently completed the 500hr advanced teacher training programme in the Yoga Room in Dublin where she also assists on the 200 hr foundation teacher training programme. She is hugely grateful to all her teachers, students and peers for all that they continue to teach her.